The Infinix Hot Note Pro (2GB RAM,32GB ROM) is a stylishly designed smartphone specially made to suit your personal lifestyle. It is a combination of affordability and functionality. 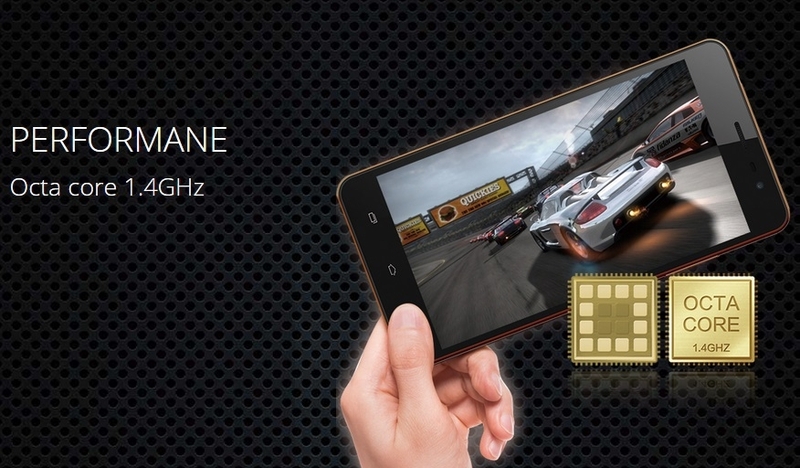 It is powered by a Mediatek Octa-Core 1.4GHz chipset which will ensure that your phone runs smoothly and efficiently. Its synchronised core architecture makes multi tasking between apps very speedy. 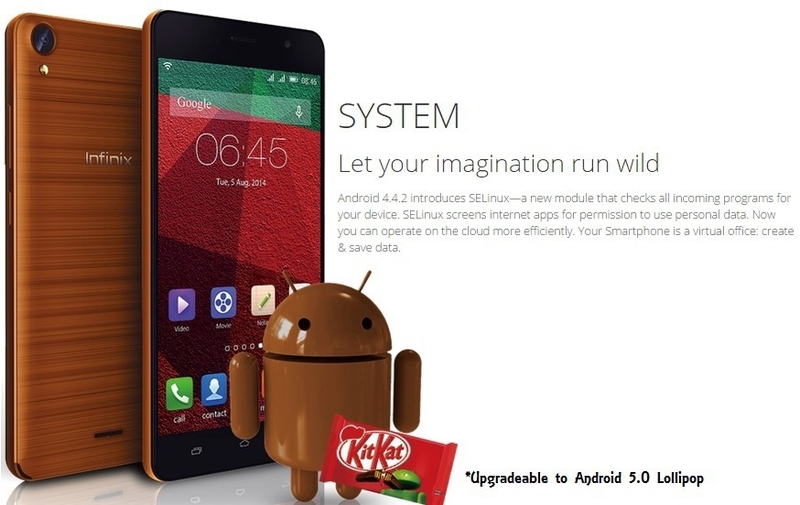 It runs on the Android 4.4 KitKat operating system for very responsive applications. 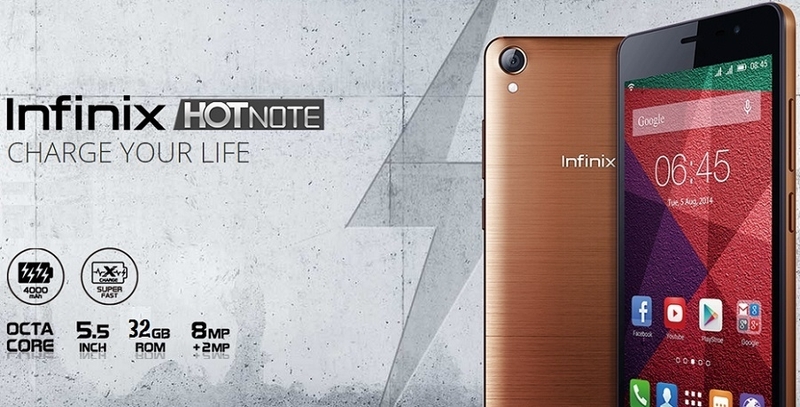 The Infinix Hot Note Pro is the newest smartphone from the trusted Infinix brand. The Infinix Hot Note Pro sports a 5.5 inch IPS LCD Capacitive touchscreen which displays clear, sharp images. It comes with a 2GB RAM and 32GB memory, which gives you more than giving you more than enough space to save all the important documents and media files that you hold dear to you. Capture your favorite moments with its 8MP rear camera and a 2MP secondary camera. The striking thing about the Infinix Hot Note pro is the battery life and how it charges. 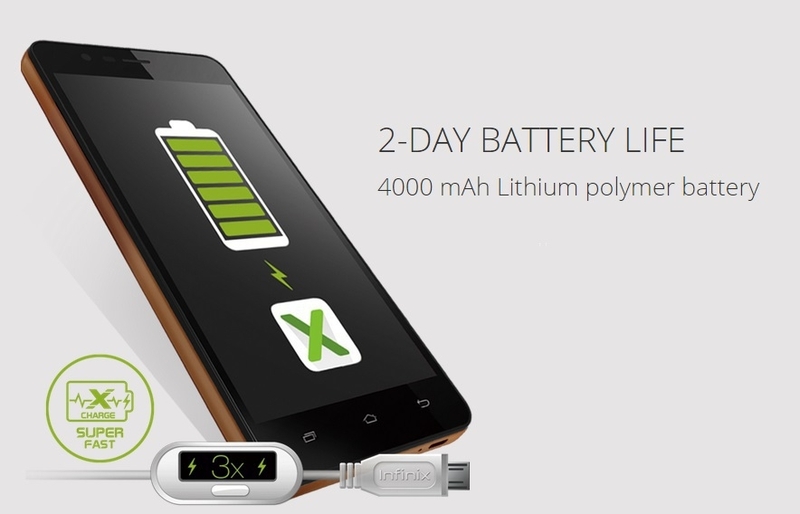 It is powered by a 4000mAh battery which can guarantee you 2 days of uninterrupted usage.